New Zealand's fauna is interesting because it includes parrots and parakeets which are normally associated with the world's tropical regions, while at the same time accommodating penguin which also occupy the Antarctic region. Three parrots and six parakeets are endemic. 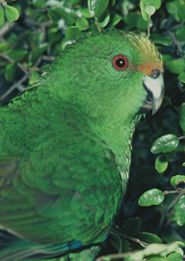 Strikingly different parakeet locations range from the subtropical Kermadec Islands, to the subantarctic Auckland Islands which is the second most southerly parrot location on Earth. 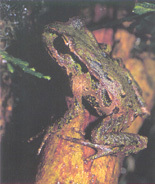 Habitats range from temperate rainforest to tussock grassland. The kea is New Zealand's cheakiest and naughtiest bird, renowned for chewing windshield wipers and other appendages off cars. Despite this mischief it is greatly loved. It is thought to be the most intelligent bird in the world. The kea is the world's only alpine parrot, living in the subalpine regions and high country of the South Island by adapting to changes in their habitat and becoming scavengers. The kakapo is one of the world's most critically endangered birds, living dangerously close to extinction for more than half a century. 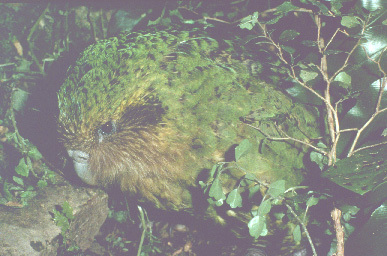 It is the world's heaviest parrot, and the only flightless and nocturnal parrot. After many years of holding on with just a few females in New Zealand's most extensive controlled breeding program, the future looks better for kakapo since a record number of chicks hatched in 2008, bringing the total to over 100 birds. 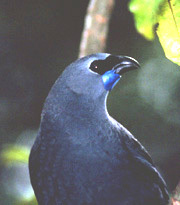 Once abundant throughout forests on the North, South and Stewart Islands, both subspecies of kaka which are found only in New Zealand, are following a similar decline to that of kiwi. Remaining populations have become predominently male due to stoat predation of females and chicks in nests. Kaka are on the path to mainland extinction, and may eventually only exist in protected 'mainland island' sanctuaries, and on predator-free offshore islands. The number of orange-fronted parakeet plummeted 75 percent in three years, after it was declared a separate species in 2001. 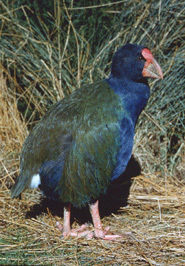 It has quickly become one of New Zealand's most endangered birds, joining the takahe, kakapo and black robin. 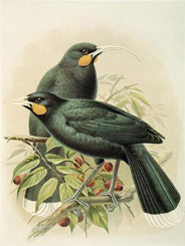 Only 100-200 birds remain in two valleys in Arthurs Pass National Park and Lake Sumner Forest Park in North Canterbury. Birds are being translocated to predator-free Chalky Island in Fiordland. The taxonomy of Forbes' parakeet has been debated since it was first described as a distinct species in 1893, then demoted to a subspecies of yellow-crowned parakeet in 1930. 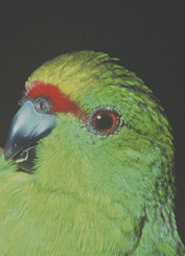 Genetic research in 2001 redeems its' separate species status, and connects its lineage to the Chatham Island red-crowned parakeet. 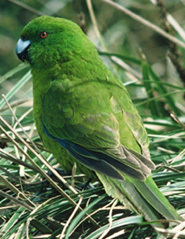 Forbes' parakeet is endemic to Mangere Island in the Chatham Islands, and is seriously endangered because of hybridisation with red-crowned parakeet. Copyright © 2005-2011 TerraNature Trust. All rights reserved.